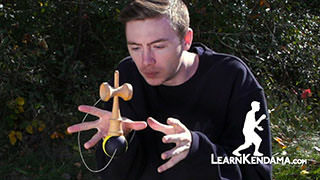 The Kickstarter campaign video for LearnKendama.com – learn kendama tricks. 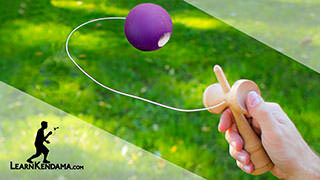 LearnKendama.com Kickstarter Campaign Kendama TrickKickstarter, we want to introduce you to this – The kendama. The kendama is a traditional Japanese game with three different sized cups, a ball with a hole, and a spike to catch the ball. And like all the best toys, it’s only limited by the scope of your imagination. Since the Kendama is a traditional toy, it’s not surprising that the best way to learn is currently through books. 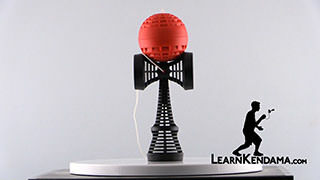 But we’d like to change that, by building LearnKendama.com, a kendama video tutorial website. We have experience making tutorials because of our website yoyotricks.com where we teach people how to yoyo. We have over 250 videos and we have the most subscribed dedicated yoyo channel on youtube. You may have run across our previous and successful kickstarter campaign for the Civility Yoyo. While we had the typical bumps in the road, we were able to get this yoyo into the hands of players and fulfill our promise of making videos for the most advanced yoyo tricks. So far the feedback has been great on both the videos and the Civility Yoyo. We at Catchy Kendama reached out to these guys a few months ago after we saw the great videos they were posting on yoyotricks.com in the hopes that they’d bring their wonderful teaching techniques to the kendama community. Just like on yoyotricks.com, all of the videos will be free and anyone can come to the site and learn, but in order for us to pour our heart and soul into these videos, we need to be able to support ourselves. We do this on yoyotricks.com by selling the yoyos that are great for learning the tricks and on LearnKendama.com we would like to do the same. What we need from you is an initial investment of funds to be able to stock the store for the first time. As a show of support, we at Catchy Kedama will be making some of our kendama models available for the first time ever through this campaign, so the supporters of this campaign will be the first to get their hands on them. Our goal is to have these rewards in the hands of our supporters by Christmas and to have LearnKendama.com launched by Christmas, so by the time that everyone gets their kendama there’ll be videos availble on LearnKendama.com. With your help this goal is absolutely attainable because most of the products for the rewards are already made and will be ready to ship by the time the kickstarter campaign is complete. The reason we want to teach people kendama is because of how much we’ve enjoyed learning it ourselves. The Kendama is not only fun, it can be entertaining for people of all ages. It can also be meditative and relaxing, providing a great way to change up your day and focus on something other than the business of life. And, because we think you’ll love it too.